This policy regarding rough sleeping in Train Wood has been discussed and agreed by the committee, with informal advice from local agencies. We are seeking input to its development and welcome thoughts from users, which can be emailed to our secretary Susan Cubbage via susannette12@gmail.com. The policy will be finalised by 20.02.19 but will be kept under review and can thereafter be amended by discussion through committee. 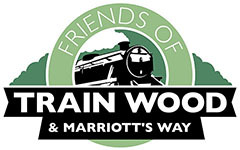 Context: Friends of Train Wood and Marriott’s Way, a constituted community group, recognises that there has been a steep increase in homelessness and rough sleeping which has led to an increasing amount of people seeking to live for short amounts of time in the wood. Some have told us that they have taken refuge there as they feel safer there than sleeping exposed in the city. We recognise that they are a range of people, some vulnerable adults facing complex problems and it is not their choice to sleep rough. Some seem to suffer from alcohol and/or drug dependency, are not able to manage their condition and are in need of help. Issues: Litter including alcohol cans and used syringes and paraphernalia in the wood; although not all rough sleepers are drug or alcohol users and much is not from rough sleepers. Encampments are sometimes abandoned derelict and include a range of large and small items which are unsightly and too large to remove at litter picks – these we ask the council fly tipping team to remove. Ask all users of the wood to dispose of their litter safely and off site. Do not seek to move people on or disturb those living in camps. Welcome engagement of all to look after the wood. Work to press local authorities and government to house people safely. Work with local agencies and medical services to engage rough sleepers in helping to look after the wood. Seek the help and advice of local authorities for people in this situation. Monitor and record the situation in the wood.